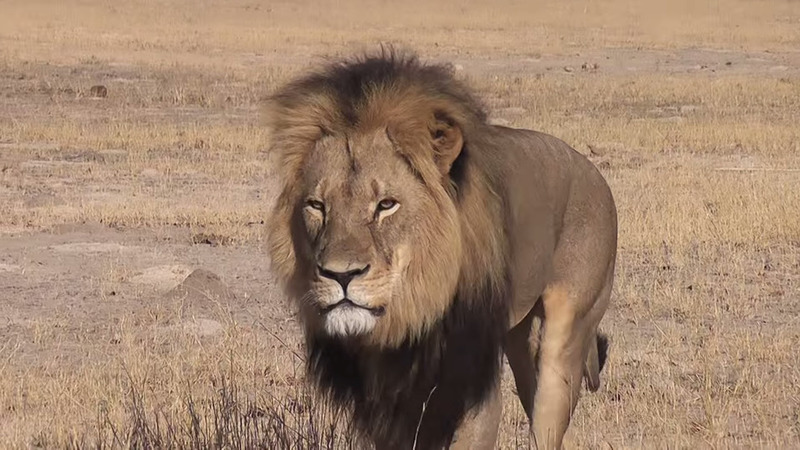 This past week social media has been full of outrage for the death of a lion named Cecil. Trophy hunting is an issue that normally stirs controversy, but this case in particular has had a noticeably larger reach due to at least two factors. Firstly, this animal had a name, and a history that was known, thanks to being part of an Oxford study. He was not just an anonymous lion indistinguishable from any number of his fellow big cats, he had a backstory. In being killed he was not just dead, he was a victim. Factor one is the power of personification. Giving wildlife, a location, or an environmental feature a name gives it an identity that we can recognize, relate to, and remember. It brings that thing into our world, our framework of understanding, allowing our sympathies to kick in. Other examples include Migaloo, the albino whale, or General Sherman, the giant sequoia tree, or the practice of giving names cut blocks in Tasmania that would otherwise only be assigned numbers. The second factor, which builds on the first, is the presence of a narrative, or an unfolding story. In this example of trophy hunting, the details of the hunt build the narrative. We know a great deal about Cecil’s American dentist killer; the sad unfolding events of how he was unfairly lured out of a national park, how he suffered from his initial wounds until he was slaughtered, and then how his body mutilated. We know Cecil wore a GPS collar and was part of a multiple-year scientific study. This story was not deliberately orchestrated, it was simply the narrative of something which happened, and circumstances were such that the world was able to know about it, as opposed to numerous ongoing cases of poaching which are highly clandestine. The case was also easily communicated via the internet and spread on social media with #CecilTheLion. Environmental organizations can use the narrative technique deliberately to draw an audience to their cause and capture ongoing attention. A narrative is simply a story, a series of connected events that unfolds over time. The narrative may be delivered all at once, or unfolded over a number of days, weeks or even longer. For example, Sea Shepherd creates ongoing narratives with their multi-day, often multi-week campaigns, allowing their continuing chases or coverage to unfold, and updates to be delivered over time. Large scale events such as the upcoming COP-21presents an opportunity for narratives as well, possibly following individual charismatic activists. A narrative is what separated #CecilTheLion from any number of other trophy hunting controversies and wildlife crimes. It is the story, the characters, and the plot (in this case tragic) which allows people to respond within a familiar emotional framework, evokes sympathy, and is no doubt a powerful campaign tool. Have a comment or reply? Tweet to us @IdeasOnTrees.